We will be open on April 19th & 20th. Closed Easter Sunday. 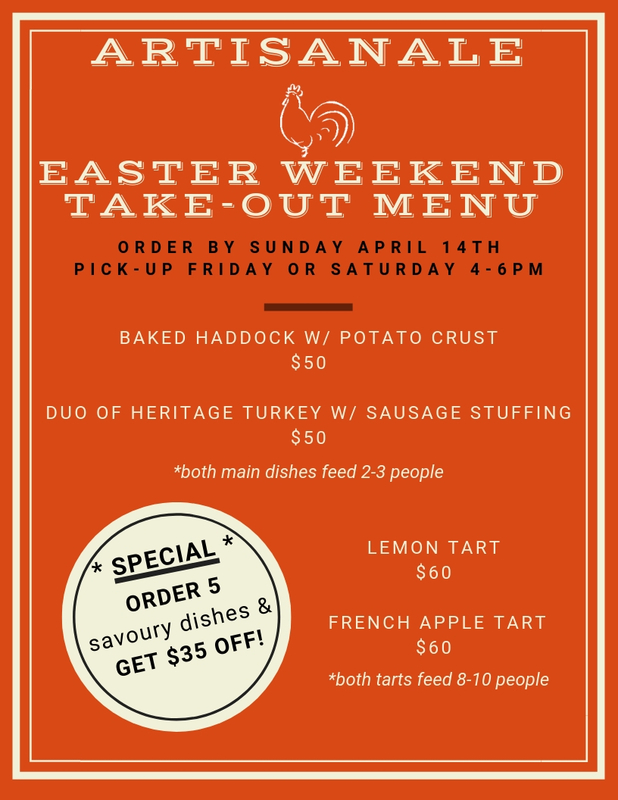 This year, we will also be offering Take-Out for the Easter Weekend. Pick-up is from 4 to 6pm on the Friday or Saturday. Please place take-out orders by Sunday April 14th.